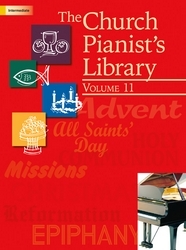 The Church Pianist's Library, Vol. 11 How Can I Keep from Singing HOW CAN I KEEP FROM SINGING? The "song" of this text becomes an extended metaphor for an intimate walk with Jesus who gives us peace in all circumstances of life. 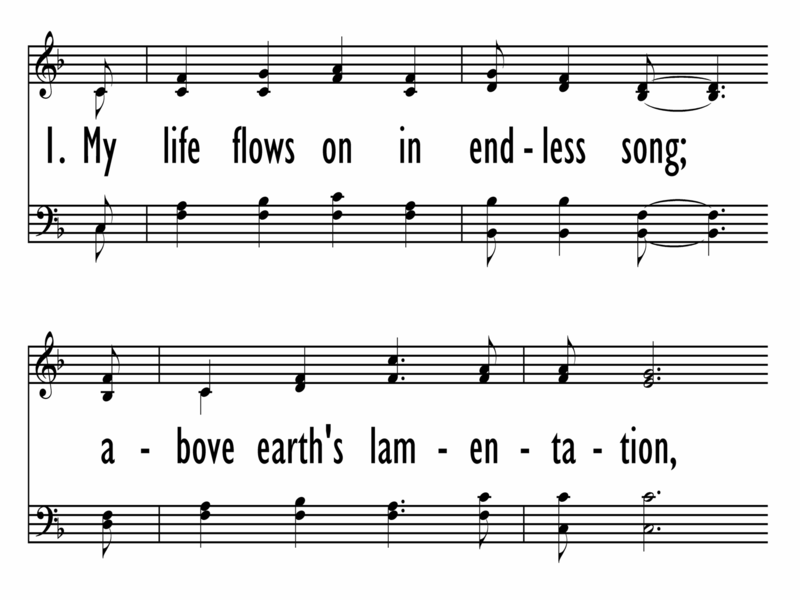 Though attributed to Robert Lowry and published in his Bright Jewels for the Sunday School (1869), a version of these words appeared earlier, and some scholars think the roots of this hymn lie among the Quakers. The text for "My Life Flows on in Endless Song" (better known as "How Can I Keep from Singing") possibly was written by American Baptist minister Robert Lowry, though he claimed credit for the tune only, not the text, when publishing it in Bright Jews for the Sunday School in 1869. Not found in many hymnals for the next century, the song bubbled up in various versions through folk music (a documentary about Pete Seeger was entitled "How Can I Keep from Singing? "); in Glory and Praise, a popular post Vatican II Catholic hymnal; and and recordings by such Christian artists as Chris Tomlin. Since 2000, many hymnals have rediscovered it, and the song is now widely sung as a comforting testimony. We sing in spite of "earth’s lamentations" as we anticipate a "new creation;" because "no storm can shake my inmost calm while to the Rock I’m clinging."